Teachers are aware of the value of student choice in project design and selecting texts. We don’t think that goes far enough. What if students selected their own standards and made their own assignments? What if they created the essential question for a unit or even a course? What if they chose the texts to read and resources to use? As teachers learn more about inquiry and engage in the Information Search Process with students, an opportunity for total student ownership becomes possible. students authoring their own learning experiences and sharing their discoveries. teachers guiding you through their challenges and successes and reflecting on their changing roles in learner-driven classrooms. teacher-librarians sharing their unique perspectives as experts in the Information Search Process and discussing the importance of collaborative partnerships with teachers and learners. administrators communicating the opportunities that this method creates and the shifts that they must make to support teachers as well as students in a differentiated classroom. parents describing the benefits and challenges that they see to this approach. The Inquiry Learning Plan is accessible on the site under the Resources tab. You may use it and modify it to fit with your courses and curriculum. If you do, however, please adhere to the Creative Commons license. Also, please be sure you tell us about your experiences with it! We welcome your feedback, and we hope that this site will serve as a community where we can share the successes and challenges of implementing this unique approach. Meg Donhauser is an English teacher at Hunterdon Central Regional High School. She first designed and began implementing the ILP in the Fall of 2010 with a very brave group of British Lit students. Since then, her work has been presented at state and national conferences and examined in publications including Ed Leadership. Heather Hersey is a School Librarian at Lakeside School. In 2010 and 2011, she team-taught American Literature classes using the Inquiry Learning Plan. Since then, she has presented at state and national conferences about the shifting role of the teacher-librarian as learning specialists in inquiry classrooms. Cathy Stutzman is an English teacher at Hunterdon Central Regional High School. She has been using the Inquiry Learning Plan since the fall of 2010 with American Literature and Sophomore Honors English students. She has presented at state and national conferences about her work with the ILP and about her collaboration with teacher-librarians in inquiry classrooms. 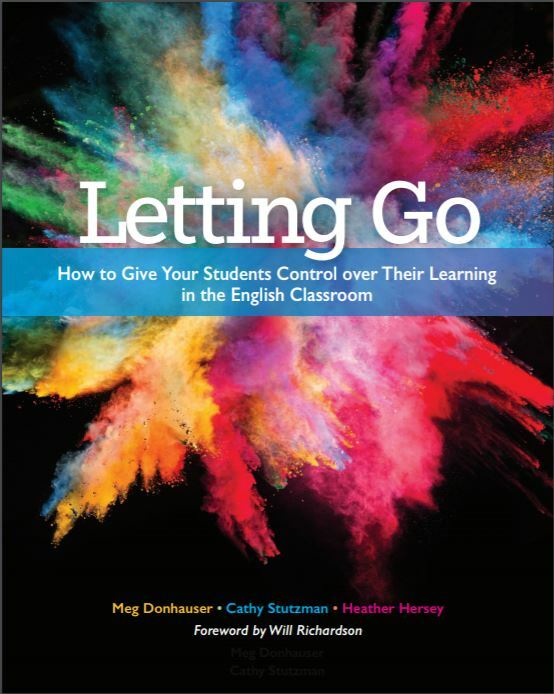 We first shared our work and our experiences with the ILP on our blog, Letting Go. While we do not post there anymore, the site is still available for readers to see our thoughts, struggles, and successes in the early stages of the ILPs implementation.